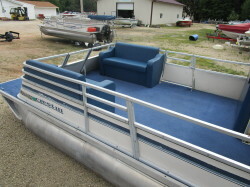 Length: 25 ft. 0 in. 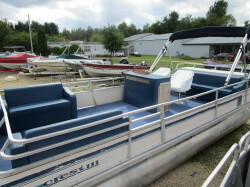 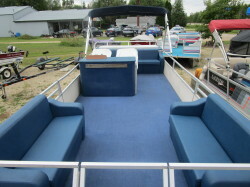 A large party barge with newer seats and bimini top. 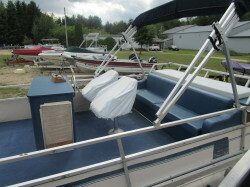 Double helm console with individual seats and covers. 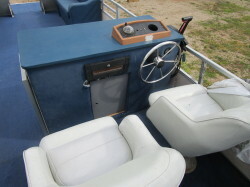 Powered by an Evinrude 40 hp 2 stroke motor.